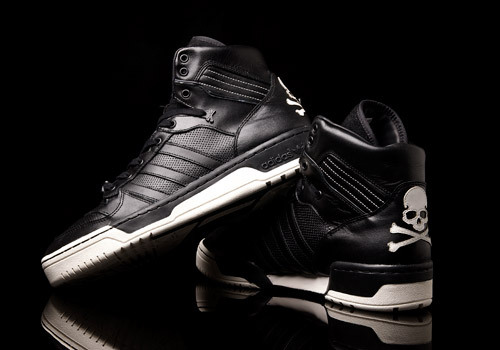 Given all the chosen models from mastermind JAPAN’s last release collaboration with adidas Originals, it’s arguable that the Rivalry Hi is by far the best. Terms like ‘best’ or ‘worst’ are admittedly subjective, and I do believe that that beauty is more than (pig) skin-deep, but aesthetics always matter when it comes to sneakers. Form should never be glossed over like a routine colorway or a predictable patent leather makeup. 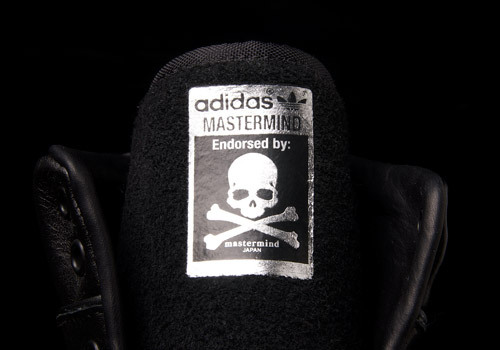 When it comes to these mastermind JAPAN designs, they’re only routine or predictable in one sense: they match the rest of the pack and fit in with the general brand identity we can expect from the Japanese crew. 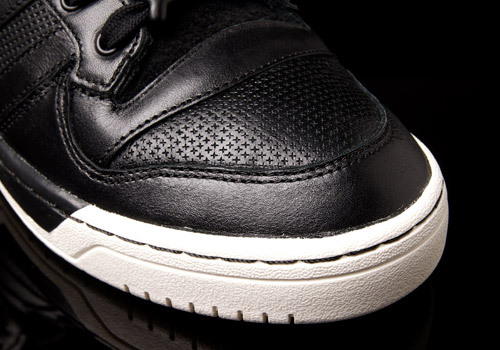 Nice leather upper? Check! 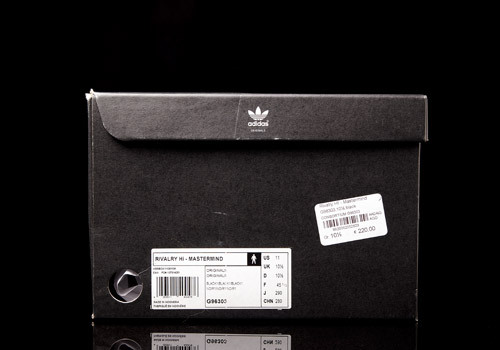 No suspect materials (unlike some bits on the other pairs in the pack)? Check! Tongue’s a bit synthetic to the touch, likely some kind of felt, but alright – that doesn’t ruin the overall flavor, so check there, too! All of this is quite predictable but for good reason. A quick shoe-nerd side note: interestingly enough, these were made in Indonesia (as was the Country model), while the Gazelles were made in Vietnam, and the rest of the pack in China, so could differences in production quality be boiled down to the factories? 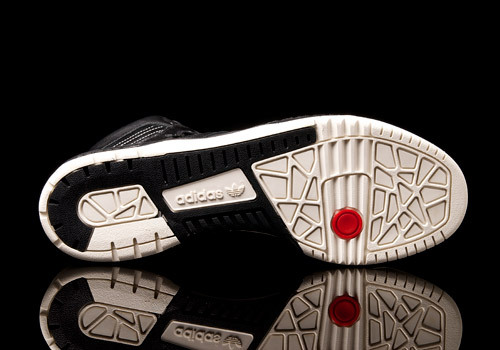 Criticism of their siblings aside, I’m absolutely lovin’ the Conductor outsole, and its red traction point is such a nice touch. The cross-pattern appears again as it did on the Pro Models but works nicely on these. Check off two points for not-so-predictable (yet still subtle) design features. 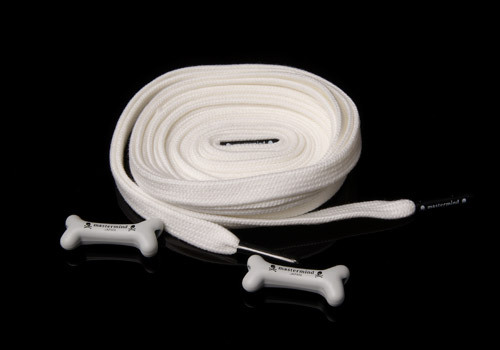 Additional details bring the bang home for a full bag on bones. 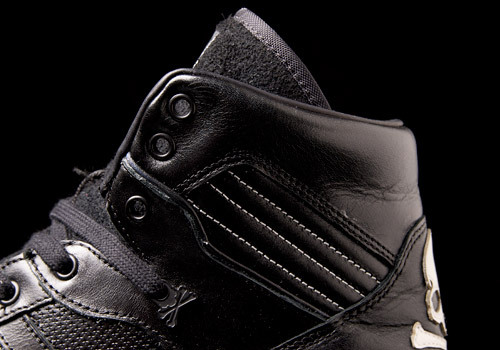 First there’s the easy to miss white stitching on the ribs, clearly accentuating this part of the shoe that is traditionally shown off through a colorway contrast. 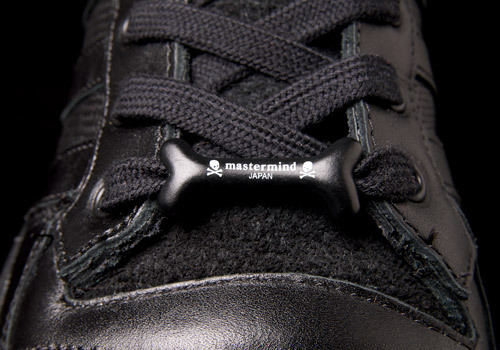 The plastic mastermind bit adhered to the lateral side is an incredibly juicy little nugget of design (shoe candy, if you will) and I’m largely surprised this wasn’t incorporated into the other releases somehow. 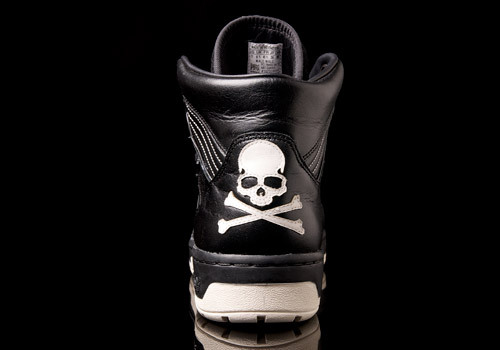 Back to the basics, the white leather heel patch for the skull is super dope, but the true gem is that superbly lush inner lining of the shoe and back of the tongue. Seriously, I could eat these parts with a soup spoon. That actually brings us full circle, back to my first point about factors that transcend aesthetics. For me, the whole point of this pack was to feel the same ‘wow factor’ that the Hardland left me with back in 2010. 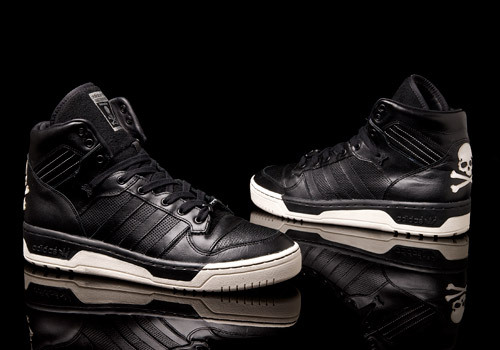 On those newly debuted basketball shoes, there wasn’t just a novelty of another model joining the Trefoil family, but the impact of the collaborative effort, bold design choices, and damn good materials. 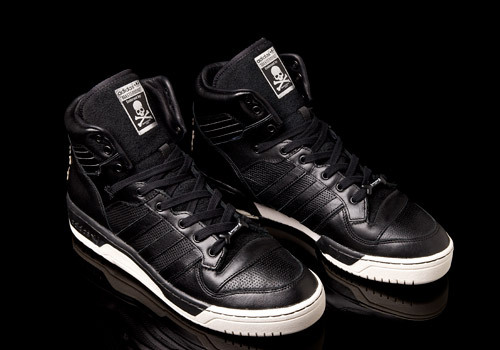 The same inner lining effect can be found if you hold (or even better, wear) a pair of mastermind JAPAN Hardlands. Supremely, undeniably, gotta-go-call-my-mother-about-these-right-now, lush. Beyond that is the level of energy the original release generated. It was an incredible amount of genuine hype out of nowhere and I think that while many of us expected hard times to get those Hardlands, we never knew how rough it would be nor how high the prices would actually climb. 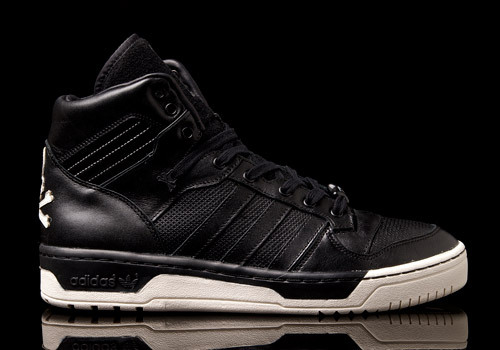 It’s safe to say the pair is an incredibly coveted creature among adidas Originals Japanese collaborations. Definitely a feat when you consider the rather plastic and shallow persona of the model chosen for the collab, not to mention the steep level of expectation and elevated standards expert Eastern designers such as Kazuki Kuraishi had set by then. And finally, focused on the model itself, that’s the true reason I deem the Rivalry Hi best in the pack – simply because it’s a Rivalry Hi. I would describe them even as ‘epic’ if it weren’t such an overused cliché. But they’re certainly something to write home about, that’s for sure. It’s not just that they’re a high top (though I must admit this helps), but with the history behind them and the bold move to shatter many of the design elements that make them as iconic as they are. Now that you’ve read the above let me just discredit each and every word by admitting these are by far my favorite from the pack and therefore provoke nothing but bias on my part. But hey, that’s the truth and when it comes to kicks, more often than not, I’m just gonna follow my gut, and I’d gently suggest a similar course of action on my fellow footwear fetish friends as well. 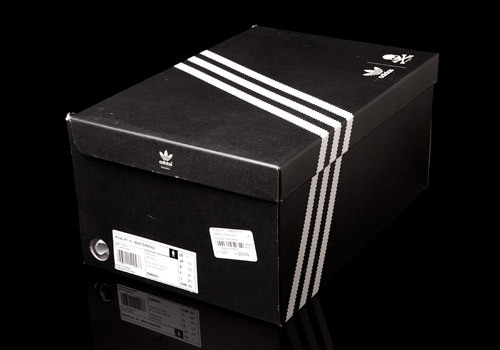 Enjoy if you got ‘em, and if not, don’t fear, these will be reselling online for quite some time at reasonably ridiculous prices.